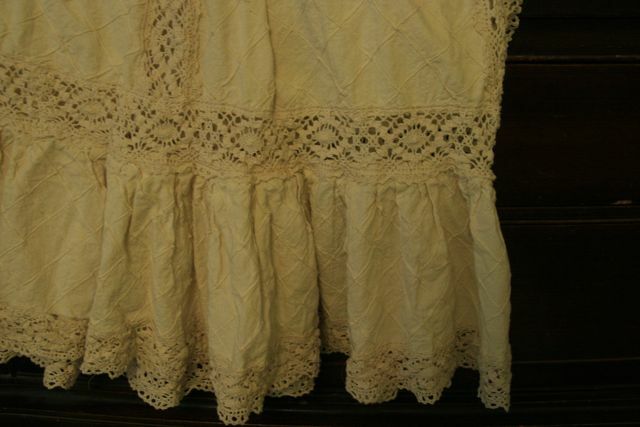 I found this dress at the goodwill outlets and googled the description and found that this dress is a vintage crocheted Mexican wedding dress. 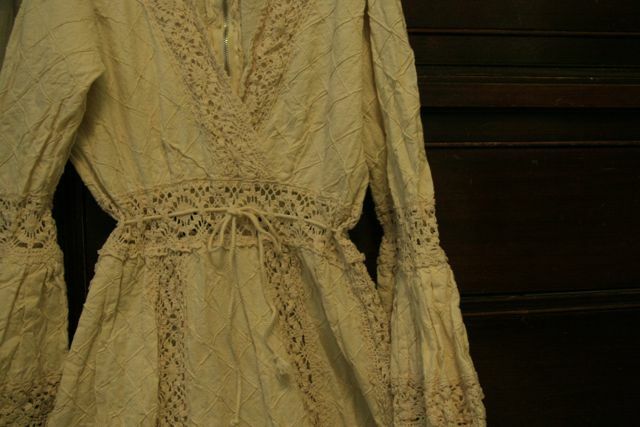 I love the detail on this dress but would love to turn this into a summer sundress. I am not sure if I should attempt cutting this up or not. What do you think? 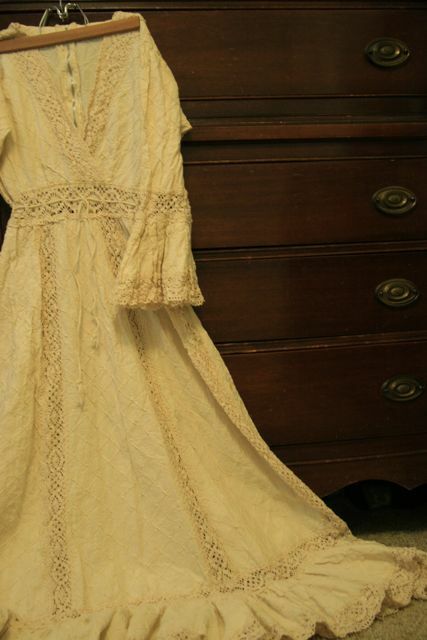 This entry was posted in Thrift Finds, vintage on July 26, 2010 by Deanna. this is absolutely gorgeous, and such a great find! were you thinking of taking off some of the length or the sleeves? Have you seen this website? (This totally sounds like spam…)http://newdressaday.wordpress.com/ Maybe it would be some inspiration. It’s beautiful either way! Good find! I was thinking of taking off some length and the sleeves, making it sleeveless. Thanks for passing that site along. Its great! Love to find new sites that take old, vintage and thrifted clothes and make them their own. Love it! What a lucky find! Its so beautiful I dont think you should do anything with it! If you don’t do anything to it will you ever wear/use it? If not than you are really are not doing any justice to the dress! If it found it’s way to the goodwill the owner must have been ready to pass it on!! Good luck with your decision! I can see it would be lovely shortened to a mini, and leaving the sleeves as is! I’m always “re-making” ready made dresses! Looks like fun to me! And if that’s the only way you will wear it! Go for it! Or you know…. it could be a great skirt and top!